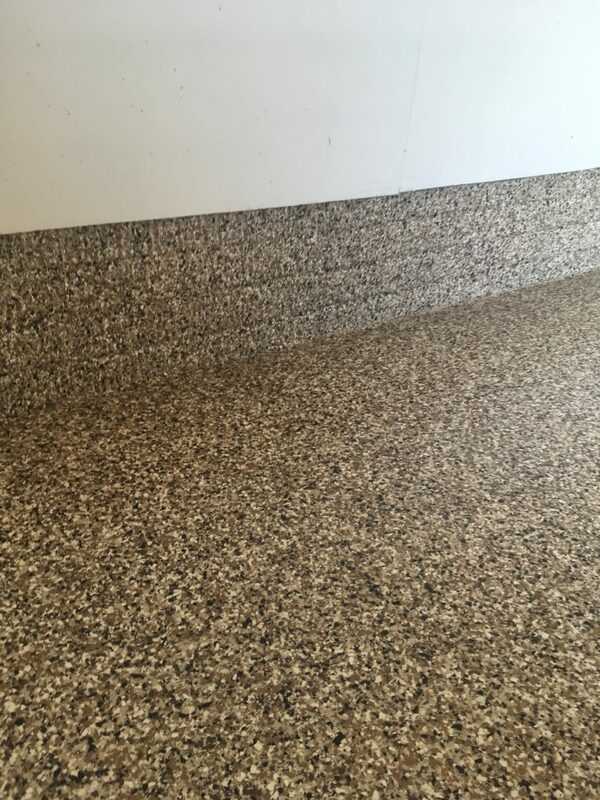 Here is a recent install in a garage in Gray Granite color flakes. First we diamond ground the floor, repaired cracks, and filled control joints. Then we applied a polyaspartic base coat, followed by a full distribution of flakes. Finally, we applied a polyaspartic top coat. Absolutely beautiful! Extreme durability and adhesion! !